If culture is a treasure chest, language is the key. Most of Italy is pure concentrated culture. Some of its places are pillars of western civilization. Therefore, a decent knowledge of the Italian language becomes indispensable to enjoy it fully. Sure, you can experience its landmarks without speaking a word of Italian. But moments like: sharing a laugh with a barista; having a chat with a salumeria* clerk; asking a fisherman about his day; complimenting a young woman on her looks, answering a curious nonna*; are an unparalleled side of Italy available only to those willing to go beyond a simple “Ciao!”. On a trip, overcoming physical distance is only the first step; linguistic distance comes right after. I have to admit, ultimately, when Italian stars flowing out of your mouth, in a way very few languages do, it’s hard not to enjoy it. There has never been a time when learning a new language was easier than now. No excuses. Imparate la lingua per vivere l’Italia pienamente! *salumeria: a small food store where you can buy prosciutto, sausages, cheese, pasta and other related products. As paradoxical as it may sound, in Italy, chaos seems to work. During my first year, I was living directly in Piazza Goldoni, a place where six streets and one bridge converge. 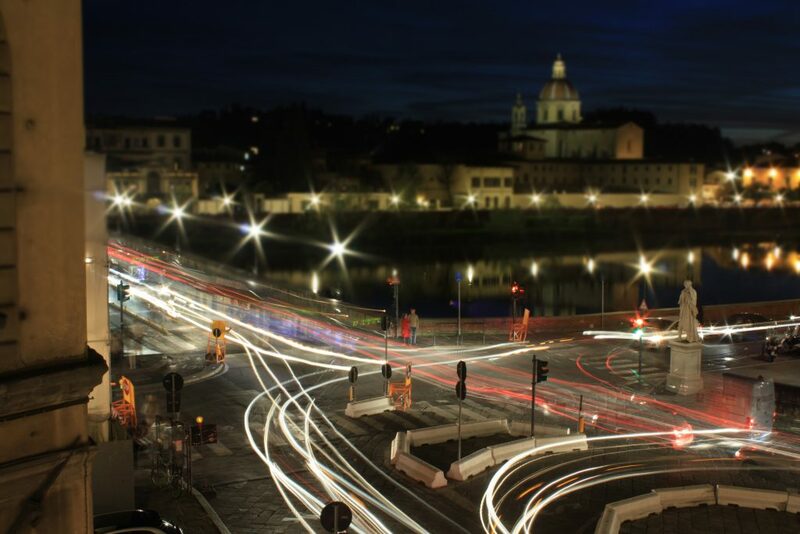 Somehow, every day, the buses, the cars, the cyclists and the motorinos* were circling round the piazza in an incomprehensible yet ordered spiral. I’ll never forget this one incident when a guy on a motorino and another guy in an SUV had this slight collision. Nobody got hurt. They pulled to the side, got off their vehicles and started to yell at each other. It lasted for about 10 minutes, then the volume decreased and finally they started to laugh, hugged each other and went their separate ways. Such episodes add excitement to life. Anything can happen. Impromptu moments can be rewarding. Rigid organisation is not always beneficial. Don’t get me wrong, chaos is disturbing most of the time, but in Italy it feels like it’s there to stay, so you might as well enjoy its positive side. *motorino: a scooter. But motorino sounds better.